YOM 2013. Off-lease instrument in excellent condition. This Abbott hematology analyzer is an off-lease instrument that has been consistantly well-maintained over its short lifespan of 4 years. It was received in exceptionally clean condition, with even the tubing being well flushed and clean. 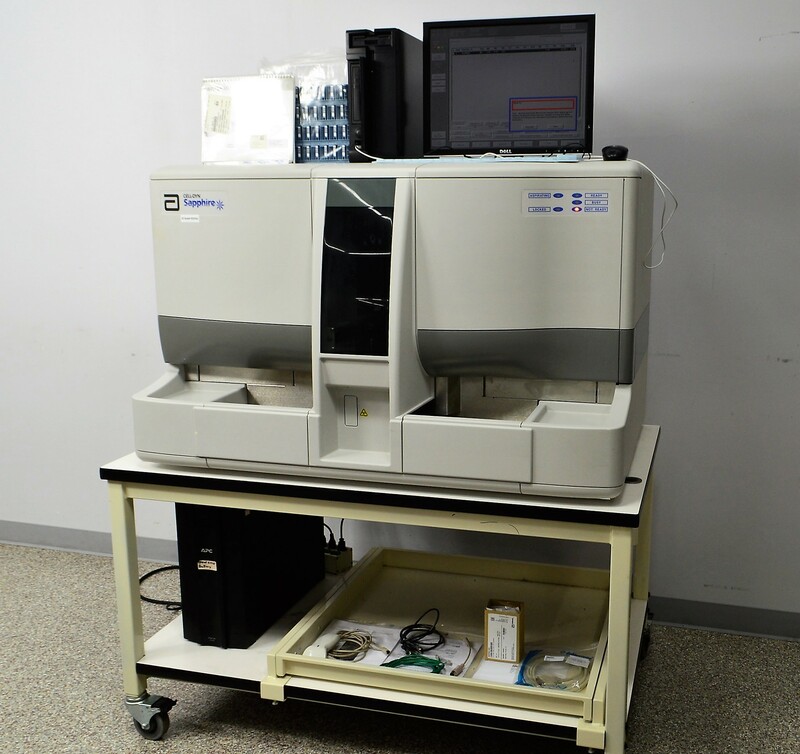 Complete with a computer and installed analytical software, this instrument is ready to go to work in your lab. This Abbott Sapphire hematology analyzer was manufactured in March 2013. New Life Scientific technicians noted that this instrument was exceptionally well-maintained and one of the cleanest hematology instruments they had ever seen. NLS Technicians ran a successful fluidics test of the instrument using water. The pumps were verified to be functioning, and the instrument recognized the fluid was not the intended reagent, indicating the sensors are functional.